Sony, infamous for their proprietry formats, DRM, rootkits, and coming down VERY hard on anyone who doesn’t use their products exactly the way they demand (including plugging a PS3 in to a powerboard), have been caught out as being the hypocrits you’d expect them to be. PointDev, a French software company that makes Windows administration tools, received a call from a Sony BMG IT employee for support. After Sony BMG supplied a pirated license code for Ideal Migration, one of PointDev’s products, the software maker was able to mandate a seizure of Sony BMG’s assets. The subsequent raid revealed that software was illegally installed on four of Sony BMG’s servers. 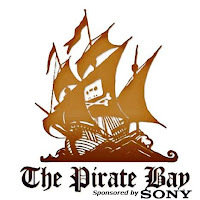 The Business Software Alliance, however, believes that up to 47 percent of the software installed on Sony BMG’s computers could be pirated. Comedy gold I tells ya.